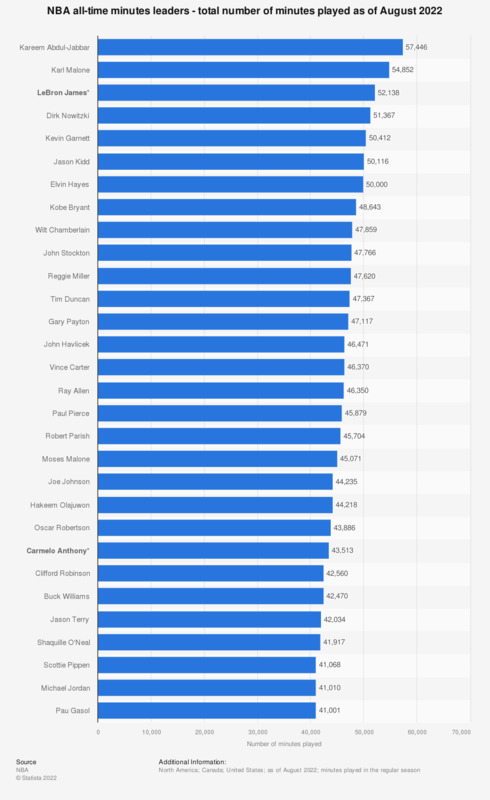 This statistic shows the NBA all-time minutes played leaders from 1946 to 2019. As of March 19, 2019, 2019, Dirk Nowitzki is third on the list with a total of 51,096 minutes played in regular season NBA games. He became only the sixth player in NBA history to play more than 50,000 NBA regular season minutes in a game against the Los Angeles Clippers in February 2018.